What may be called [Jungmann’s] real introduction to London art lovers came in 1899. In that year a collection of about fifty of his works was gathered in Messrs. Dowdeswell’s gallery, and it was received with quite a chorus of praise. It was an immediate success, for the critics were unanimous in hailing him as an artist who had some claim to be considered as a genius, and the picture-buying pubic showed a gratifying anxiety to possess examples of his quaint and unusual production. Nico Jungmann was born in Amsterdam and trained at the Rijksakademie; as a young boy, he was apprenticed to a local mural painter and proved a precocious talent. He moved to London in 1893 and eventually became a naturalized British citizen. Jungmann became known primarily as an illustrator, especially of travel and topographical books. 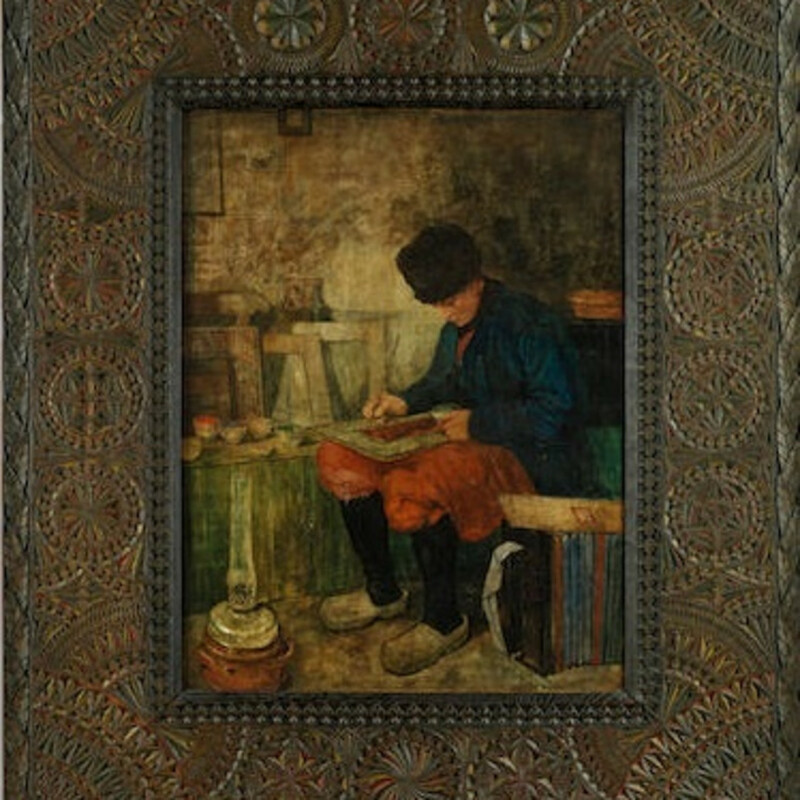 Among his most widely known publications were books on Holland (1904), Norway (1905) and Normandy (1905), with illustrations featuring charming depictions of the different types of people, whose ethnicity and customs he had studied on his frequent travels to these countries. In the early 1900s, Jungmann became a regular exhibitor at the London gallery, Dowdeswell and Dowdeswell. He also exhibited at the Royal Academy, Grosvenor Gallery, the Royal Society of British Artists and in Brussels, Munich and Paris. Fighting for the British during World War I, he was interned in the Ruhleben civilian detention camp in Germany. His series of paintings from his wartime experience are now in the Imperial War Museum in London.